Mr. Krambeck is responsible for originating, structuring and executing middle market debt transactions. Prior to Monroe Credit, he was a vice president of GE Capital’s $3.6 billion Unitranche Fund, where he structured and underwrote leveraged finance transactions that blended senior and junior debt pricing and terms into a single source financing solution. Mr. Krambeck also was a vice president at Merrill Lynch Capital, where he structured asset based and cash flow loans for middle market companies and private equity sponsors. 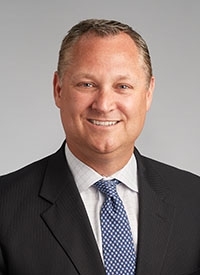 He began his lending career at US Bank in Minneapolis as a commercial banking officer; underwriting and managing a portfolio of smaller middle market loans to Minnesota domiciled companies and entrepreneurs. Mr. Krambeck earned his MBA from The Tippie School of Management at The University of Iowa and his BA from Miami University in Oxford, Ohio.